a graphic syllabus has been chosen. This course has been developed to be customized by various school districts so the syllabus content does not warrant specificity of grading policies, late assignments, expectations, course prerequisites, or timelines with dates. Additional information regarding course instruction, contact information, learning management system for sharing documents will also vary so they are not included as well. These topics will be addressed by the school district as to how the course will fit their needs. Click on the image below to view the interactive syllabus in Adobe Acrobat Reader. Reflection: Adaptability remains the primary intention for the development of this syllabus to convey course information and the graphic syllabus is an effective tool to meet the intended need. Cross platform functionality was also considered. The universal pdf file format will reduce limitations for viewing yet also includes active links to move between pages. The secondary intention of its design is to extend an inviting tone. 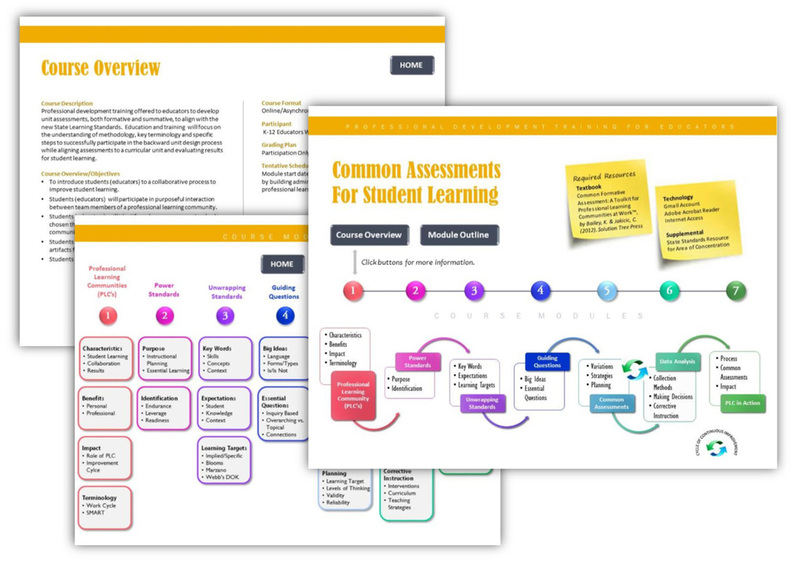 It has been developed to be color coded so documents from each module can be associated through content and color for organizational purposes. The colors also project a positive, enthusiastic tone to encourage interest. Content reflects what students will be learning and does not include specific assignments. Following a plug-and-play framework, due to the flexible nature of the course, assignments may adjust based upon the school district so the inclusion would be prohibitive. The absence of assignments also allows for a level of decision-making by the course participants.